On April 1, 2009 John Hollenbeck released “Rainbow Jimmies,” a CD of compositions for various ensembles including a trio of violinist Todd Reynolds (Bang On A Can, Steve Reich, Ethel), vibraphonist Matt Moran (Claudia Quintet, Slavic Soul Party), and Hollenbeck; The Youngstown Percussion Collective and Saxophone Quartet; Ethos Percussion Group; and Hollenbeck’s world-renowned band The Claudia Quintet with special guest guitarist Mark Stewart (Paul Simon, Bang On A Can). John’s jazz-oriented work has garnered an extremely strong critical response, including numerous awards and a Grammy nomination for his first large ensemble recording, yet Hollenbeck is not a jazz composer in any traditional sense. He has a strong background in classical composition and has received commissions from leading ensembles and musicians in the US and Europe, yet Hollenbeck is not strictly a classical composer either. Hollenbeck represents a major break from the traditional boundaries between composition styles. He freely integrates a range of techniques from jazz and classical music, as well as popular and world styles, on a deep formal level. And yet, he is not an “eclectic” musician. Hollenbeck has created a unique musical language for the twenty-first century. “Rainbow Jimmies” is a strong statement of that language. “Gray Cottage Studies,” written for violinist Todd Reynolds, was composed as part of a project funded by the Guggenheim Foundation Fellowship Hollenbeck received in 2007. It features regular Hollenbeck collaborator Matt Moran and Hollenbeck himself providing percussive backing for a virtuoso display of standard violin technique. It includes many of the aspects of Hollenbeck’s music that have endeared him to listeners: propulsive grooves, ravishing melodies, and sections of meditative grace. “Ziggurat (exterior)” and “Ziggurat (interior)” are two distinct yet related pieces, both comprised of traditional and non-traditional notation techniques. Inspired by both ancient (ziggurats) and modern construction (the sounds of building sites in contemporary Manhattan), the Ziggurat pieces present percussion ensembles with the challenge of working as a unit to create a unique performance out of the materials Hollenbeck provides. For twelve years the Claudia Quintet has been Hollenbeck’s main working band. It has charmed and bewildered audiences from Alabama to the Amazon. Encompassing aspects of a chamber ensemble, a jazz band and a rock and roll group, the Claudia Quintet’s unique combination of sounds and personalities has earned it a special place in the hearts of critics and listeners world-wide. It features Chris Speed (clarinet and tenor saxophone), Matt Moran (vibraphone), Ted Reichman (accordion), Drew Gress (bass), and Hollenbeck himself (drums and percussion). “Sinanari” was written for the Claudia Quintet’s cross-cultural educational journey to Istanbul, commissioned by the Weill Music Institute at Carnegie Hall. It is Hollenbeck’s arrangement of a traditional Turkish song, taken apart and put back together (“remixed,” as John says) on top of a John Bonham-esque drum part. The title track “Rainbow Jimmies” was originally commissioned and performed by the Bang On a Can All Stars as part of their People’s Commissioning Fund project. Performed here by the Claudia Quintet plus the All-Stars’ guitar virtuoso Mark Stewart, “Rainbow Jimmies” marks a summation of Hollenbeck’s work to date. 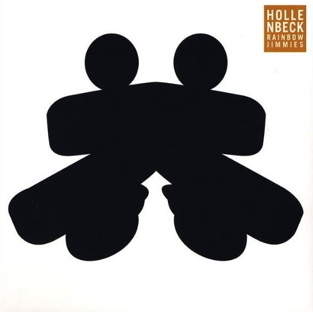 The piece brings together many of Hollenbeck’s musical obsessions (patterns, complex time signatures, heartfelt melodies) and then shatters them into a prismatic display of compositional skill and instrumental fireworks. When Hollenbeck showed the guitar part to Ben Monder, not exactly a slacker in guitar technique, his response was: “the only person that I think could play this is Mark Stewart.” “Rainbow Jimmies” is a stunning example of compositional and instrumental virtuosity, but like all of Hollenbeck’s music, it is expressive at its core. Gray Cottage Study #3 "my deer"
Gray Cottage Study #1 "lost in fog"
Gray Cottage Study #5 "dustish"
Gray Cottage Study #6 "jazz hands"